Home Central Administration PowerShell SharePoint 2010 SharePoint 2013 SharePoint 2016 How to Enable Client Integration in SharePoint 2013? How to Enable Client Integration in SharePoint 2013? Client integration setting in SharePoint enables or disables SharePoint-Client applications integration, such as starting client application based on the document types. It also provides features such as Open in Explorer view, Upload multiple documents, Edit in datasheet, etc. 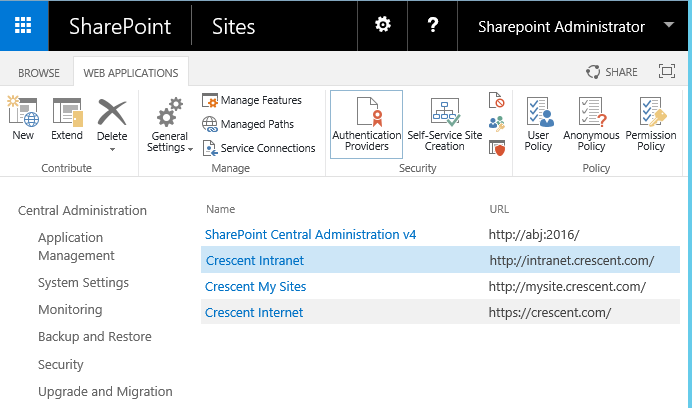 Go to SharePoint 2013 Central Administration >> Application Management >> Click on "Manage Web Applications" under Web Applications. Select your target web application for which you would like to enable or disable client integration. Click on "Authentication Providers" button from the ribbon. Click on the Zone name - Default in the "Authentication Providers" popup. 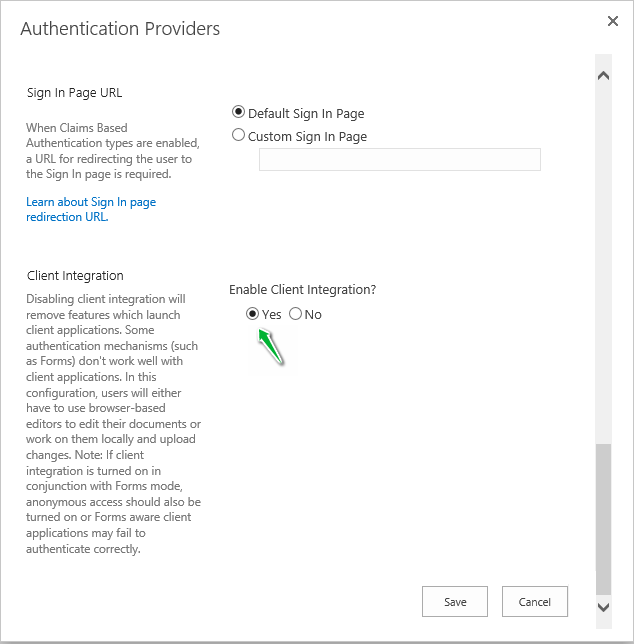 In the edit authentication providers page, under "Client Integration" section, Set "Enable Client Integration?" setting to "Yes". Although the client integration is enabled or disabled at web application level, in order to utilize client integration features, user must be granted with "Use Client Integration Features" permission from his/her permission level. You'll see list of base permissions associated with the particular permission level. 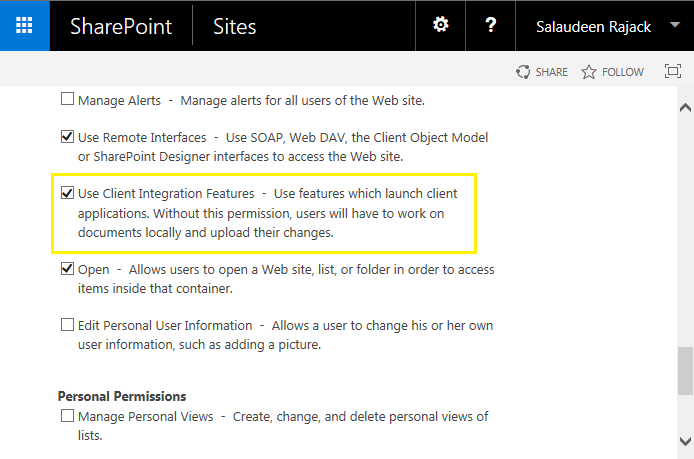 Under Site Permissions, make sure "Use Client Integration Features" is selected. In some cases, you may have to disable client integration feature in SharePoint. Based on the option you specified in the $ClientIngrationOption flag, it either enables or disables client integration feature. You saved my day - I accidentally disabled the feature on the CA and couldn't access it anymore. Also these features to work, the http header named "MicrosoftSharePointTeamServices:15.0.0.4957" should also be present in response else these clients would not understand that site is SharePoint site and might fail to work properly.